A raucous tribute (finally!) to the Golden Girl, "Tapped" checks sneaky goings-on in the bottled-water biz, and elder statesmen AC/DC rock you…well, you know. 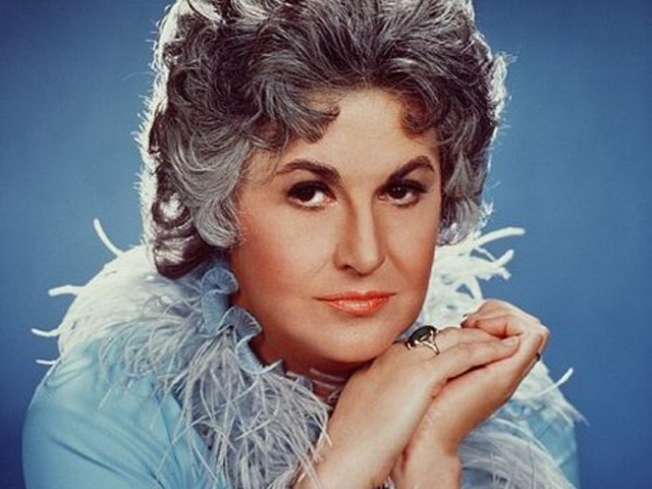 Pay your respects to Bea Arthur (here, as the indomitable Maude) at Mason Dixon. MAUDE LOVE: Even if Mason Dixon hadn’t concocted a signature cocktail for the occasion called Bea Arthur’s Underpants, we’d still head to God’ll Get You For That, a night of unabashed tribute goodness packed with Bea-inspired reminiscences and performances. 8:30PM. SPRING FLING: Bottled water is big busines, and a largely unregulated industry. The documentary “Tapped” – kicking off a run today at the IFC -- takes a behind-the-scenes look at the branding, selling, and obfuscating that goes on in the bottled biz. PRIME ANGUS: Massive arena shows seem like a thing of the past, these days, don’t they? Go recapture the magic as AC/DC rock Giants Stadium, steal your soul, and reconfirm their legend status once again. Thrash-metal outfit Anvil (of “Anvil! The Story of Anvil” fame) open. 7:30PM.